Breast Cancer is becoming a topic of debate nowadays. It is fast spreading in the developed countries due to the people life styles and eating habits . It is most prevalent in women but can also occur in males. 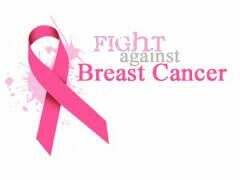 Breast cancer is a cancer that emerges from breast cells. It emerges in the inner lining of milk ducts or the lobules that does the task of supplying them with milk. Lobular Carcinoma: Cancer that emerges in the lobules. Ductal Carcinoma: Cancer that emerges from the ducts. Drinking of green tea can help avoid breast cancer. Intake of grapes can also be a remedy to avoid breast cancer. Consumption of soybeans, tofu and miso as dietary ingredients can help reduce cancer cells. Regular intake of cashew, peanuts, strawberries retards the growth of tumor cells. Garlic in combination with honey helps in the prevention of breast cancer. Consuming Vitamin D supplements helps in preventing the growth of cancer cells. Intake of fish oil is also helpful in preventing breast cancer. Inclusion of turmeric in home recipe also prevents cancer growth. Consumption of Amla, which is rich in Vitamin C helps in increasing immunity and thus body fight against breast cancer. Intake of Ground Flax Seeds also helps body fight against cancer cells. Womens Health breast cancer. permalink.